Friends of a former mechanic who died suddenly at the wheel of his car on Wednesday night have spoken about the great loss he will be to his village. 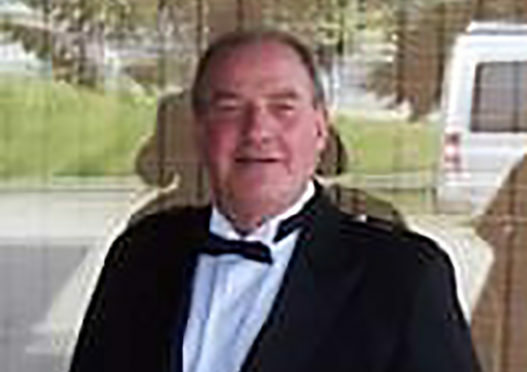 Ian Bremner, 74, died after a road traffic collision involving one vehicle on the A938 at Balnaan, close to Dulnain Bridge, near Grantown on Spey Bridge. It is understood that Mr Bremner took unwell at the wheel as the car left the road, and ended up on its roof. Mr Bremner was driving a grey Citroen Picasso. Fraser MacKenzie of the Strathpeffer Pavilion community group said: “This is a great loss of a good local man. “Mr Bremner was a well respected mechanic in the area for many years and worked at Kenny Stewart’s garage. “He would do anything for anyone, and was exceptionally kind to people. “He will be a great loss to the area. “Many, many people would have known him, as he was involved with things that were going on in and around the place. “He was also a great music man and played with many of the bands from the area. Councillor Margaret Paterson added her condolences to those of the community. Mrs Paterson said: “It is such tragic news for this to have happened. “I would like to add my thoughts and prayers for his family and his many, many friends who I know will be heartbroken by this terrible news. Emergency services were called to the scene after a witness saw the car veer off the road at 8.17pm on Wednesday night. The road was closed overnight while they dealt with the incident and officers from the road policing unit carried out an investigation. It reopened at 6am on Thursday morning. Police Scotland said Mr Bremner was the sole occupant of the car and no other vehicle was involved, and there were no suspicious circumstances.